This is what I actually wore on Easter Sunday, I had this on for about 5 days, it held up pretty good. I need to practice a lot on my freehand skills, I can't even make straight lines :-P work in progress. I don't remember every single polish I used, if anybody is interested in a particular one let me know and I'll look it up :) promise! 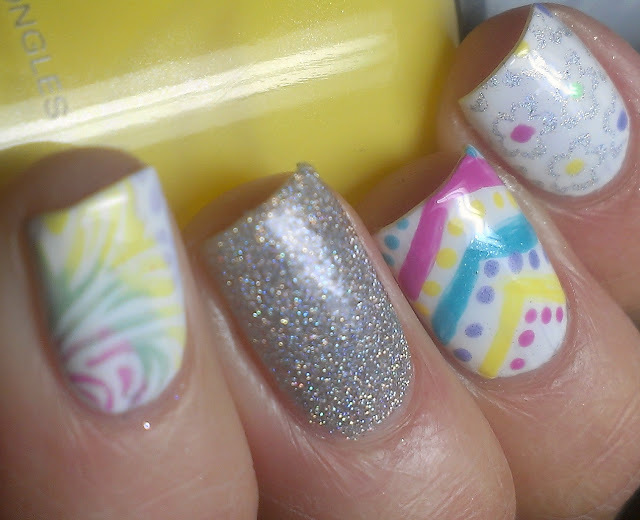 I love the pastel colors you used - it's a very pretty mani! This is so cute! The colors are just lovely! 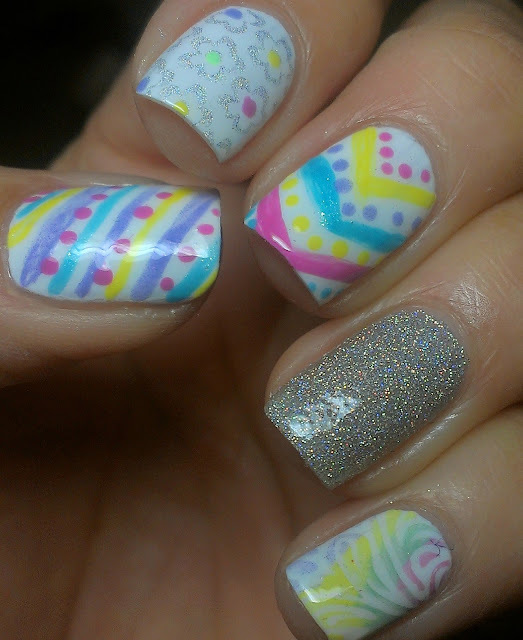 Love the multi-coloured stamping on your pinky! So cute I love the colors! This looks fantastic for a freehand mani! Also follow it if you like my posts! It looks so beautiful! Your lines looks great!! This is so pretty! I love the colors you used and I think the lines look great! Ahhhh these are total perfection!!! I love it all! The colours you used totally remind me of Easter eggs! Don't remember seeing this one! Love the pointer finger best! Honey, I can't make straight lines, either. I'm sure you've improved by now, though!